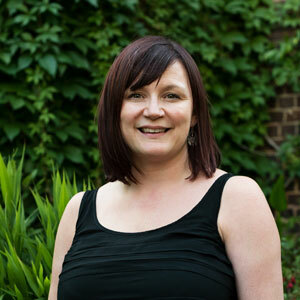 Julie joined Capital Growth campaign in 2011, initially focusing on engaging volunteers with the project. 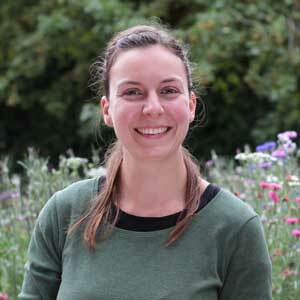 She now runs the project's show garden in London’s Regent’s Park and focus on helping schools to grow food. She also work as a consultant on various growing projects accross London and is pationate about organic growing techniques. Before joining Sustain, Julie travelled in Australia where she studied mangrove bird communities in Darwin, grew sweet potatoes on a farm in Bundaberg and worked as a chef in a local café. She studied Ecology & Sustainable Development Project Management in Strasbourg, France. 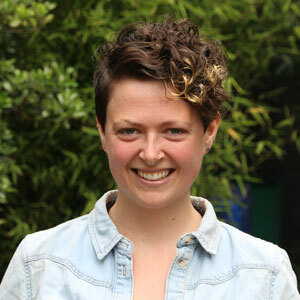 Janelle joined the Capital Growth team in 2017, and works mainly on the London Grows buddy scheme, Big Dig and networking events helping connect community gardens and urban growers across London. For the last five years, Janelle has also been working as a grower on several rooftop gardens across London maximising the food growing potential of urban spaces and providing food for restaurants and pubs. She is also a community gardener who has worked on several projects in the city, working with volunteers, delivering workshops and sharing skills and knowledge about sustainable urban food production, nature conservation, and gardening for health and wellbeing. Sarah Williams joined the team in November 2009. Previous roles have included support and development of various community groups and projects in London, particularly at Groundwork East London where she was involved in environmental regeneration projects. Most recently Sarah was the Strategic Manager of a Food Access Partnership, where she coordinated implemented a Food and Nutrition Strategic Plan, influencing local decision-making, developing food projects and setting up local networks. Sarah has a Masters in Leadership for Sustainable Development, achieved through the Forum for the Future’s Masters Programme. She is also an unpaid director at Food from the Sky, an innovative food-growing project on the roof of a supermarket in Crouch End.